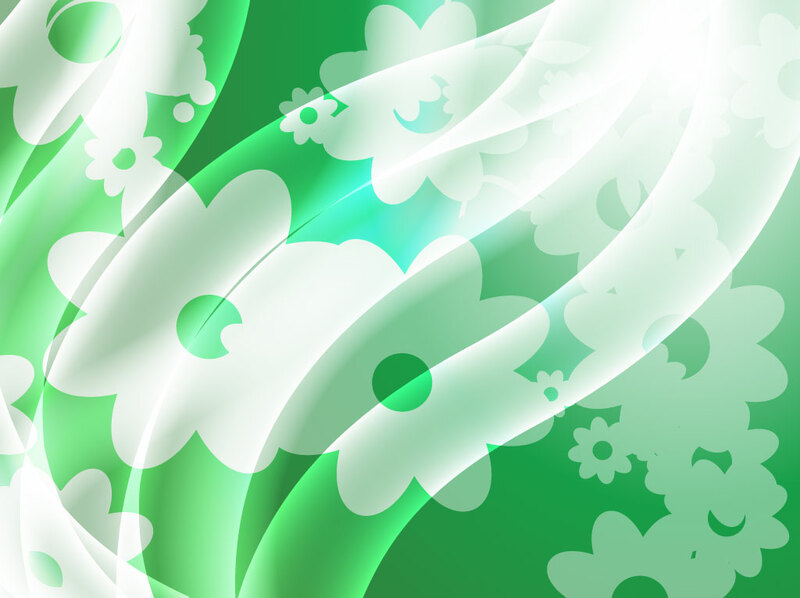 Emerald green vector background with white flower pattern. The flowing curves glow with light and have soft shadows that add depth to the graphics. The free download is beautiful and original and would work well with jewelry shop promotions, flower shop posters and salon marketing materials. Tags: 60S, 70S, Curves, Depth, Flowers, Garden, Green, Retro, Seventies, Sixties.